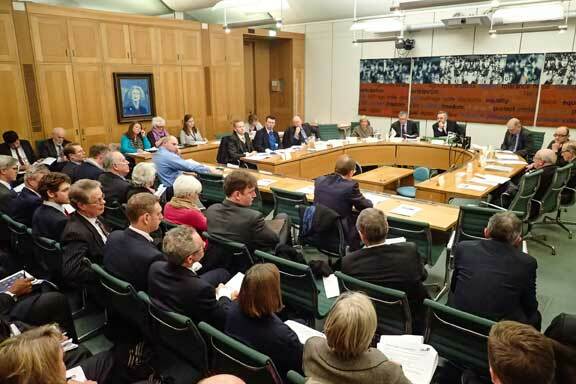 Seventy key figures in the leasehold sector – including some battle-scarred leaseholders – attended a packed Westminster briefing yesterday to hear how leasehold could be reformed. The meeting was hosted by MPs Sir Peter Bottomley and Jim Fitzpatrick, and chaired by Martin Boyd, of LKP. It included presentations from Phillip Rainey, QC, of Tanfield Chambers, Ian Fletcher, of the British Property Federation, and Darren Eade, of the Competition and Markets Authority. Their presentations are reproduced below. Parliamentarians who attended included Nick Raynsford, Labour MP for Greenwich & Woolwich, a veteran of the 2002 Commonhold and Leasehold Reform Act, Lord Best, who headed the All-Party Parliamentary Group report into retirement housing more here and Baroness Gardner, a stalwart of leaseholder activism. Among the invitees were senior civil servants, property tribunal judges, an abundance of distinguished landlord and tenant barristers and solicitors, the Law Commission, the CEO and chairman of the Leasehold Advisory Service, CEOs of property management companies and developers. Baroness Gardner mischievously welcomed the presence of a representative of the Serious Fraud Office at the meeting – perhaps a leasehold sector first. 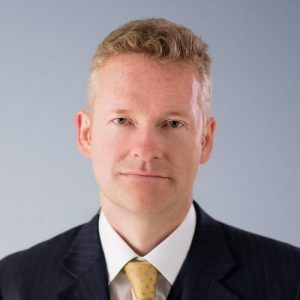 Phillip Rainey’s presentation was nothing less than a manifesto of legal reforms to the leasehold sector (and will be considered in a separate article). Abolition of forfeiture, clarify and simplify right to manage procedures, prohibit the grant of leases of between 21 and 999 years to eliminate “the wasting asset problem”, prohibit long leases on houses, regulate managing agents by extending existing Housing (Wales) Act 2014, … and “a modest and non radical suggestion for immediate reform” confer on the First Tier Tribunal the power to consider challenges to exit fees in retirement leasehold. These suggestions sound joyous to LKP, which prompts the question why it has taken a minnow organisation like us to get them asked? Ian Fletcher, of the British Property Federation, warmly welcomed the initial work of Martin Boyd, of LKP, which went on to further analysis by DCLG which allowed them revise the official number of privately owned leasehold properties in England to 4.1 million. “This was a huge phenomenon, with private sector flats constituting just 12 per cent of new supply in 1997/98, and growing to 46 per cent in 2008/09,” said Mr Fletcher. “In the housing association sector the growth was similar, up from 29 per cent in 1995/96 to 66 per cent in 2007/08. “Since the turn of the millennium there have been 715,000 flats built in England. “In addition to the 4.1 million privately owned leasehold properties there are 1.85 million in the social sector, if we take the data from the census and subsequent building. In total that gives almost six million leasehold properties and flats in the private and social sectors. Mr Fletcher also addressed the property issue of flat owners renting out their properties on ultra short-term lets for tourists and business people. “This has led to a growing industry where residential homes are used for the permanent and consecutive commercial letting of holiday space, the business deriving significantly more in rent than would be derived if the flat was let for use as a home. Ministers are seeking a “middle ground” that does not penalise those who genuinely rent out their flats because of short-term need and those running an apart-hotel business. Gerry Proctor, of Engage Liverpool, said the practice was certainly not confined to London, and was causing ill-feeling among residents in the city. Mr Fletcher said the BPF backed the argument that commonhold is a housing issue and should move to DCLG from the Ministry of Justice, where it currently sits. Finally, the BPF is “supportive of making it easier to get recognition of a tenants’ association” – a particular obsession of LKP. And here is an example of a freeholder who spent £74,560 in the property tribunal trying to resist a recognised residents’ association … whose sole power of note is to appoint an auditor to examine the books. Finally, Darren Eade of the Competition and Markets Authority discussed the recent report into residential property management services. “Leaseholders often feel poorly informed and have a limited understanding of their liabilities when they purchase a leasehold property,” said Mr Eade. Lack of leaseholder education – which is odd compared with the certainties experienced on the continent where commonhold exists – is a repeated mantra by the sector. But it is not only leaseholders who are poorly informed, as is demonstrated by officialdom working on a figure of 2.5 million flats six months ago. “Bad outcomes weren’t particularly associate with small or non-trade association member property managers – complaints were spread across all providers,” said Mr Eade. The CMA’s recommended legislative changes were to review section 20 regulations and “introduce new powers to leaseholders to influence the appointment of and tendering for property managers short of full right to manage”. Our sincere thanks to Katherine O’Riordan, of Sir Peter’s office, for organising this event. I can only say Many Thanks to all. , I can not wait to have a free life without the Freeholders. Dictatorship of freeholders should be stopped. They have significant negative impact on people’s life. Freeholders should be the story of past. The pressure which some had on flat owners is unspeakable. Practically some has been given right to harass, bully, frightened flat owners day and night for more money.with the help of their lawyers and barristers,. I have been there. It was hell. Good luck. Interesting times ahead and it’s vital that leaseholders keep up the momentum for change. We all need to circulate articles from LKP via Twitter/Facebook/Email etc……and get People/Politicians discussing this topic.We can not leave a legacy of subserviency to our children. There are over 6 million leasehold properties in England and Wales….Why? Because it suits those in power and those property magnets/pension fund controllers. What a business model where you can buy the structure/land that houses families and then be allowed to charge pretty much what you want want for services provided to them! Knowing that most people don’t have a clue what they have signed up to until it’s too late. Those that do understand leasehold and it’s foybles have to take the time to educate the younger generation to avoid leasehold tenure at all costs until the industry is cleaned. Well said Karen. Totally agree. I try to tell at least one person a day never to get involved with leasehold, especially Retirement L.. I live near Kenilworth Warwickshire and two brand new Mac Stone sites have sprung up. If I get the chance I always speak to would be purchasers and give them a few home truths and refer them to the appropriate web sites for confirmation. After my mother being in a Ret L flat for 25 years there is not much I don’t know abut. RL is the scourge of the earth because of what the “major players” have, done, and continue to do. We saw what happened with the PPI sellers! Government stepped in, ordered an inquiry, fined the culprits and then made the culprits pay back premiums plus compensation to the people they fleeced! Nothing less will do for us leaseholders…. The suppliers of retirement leasehold property, have over the years, managed to fleece elderly people due to them not complaining and just putting up with their lot! That is not happening anymore, as either they or their families are fighting back, thanks to the publicity by LKP. I agree we all need to deter as many young and elderly buyers of leasehold properties as we can. In my area there are large unoccupied new developments of leasehold flats as nobody will buy them… it is starting to hit these developers where it hurts! I agree regarding the elderly where they accept what is going on, some of those on my development say to me, I don’t want to be involved, but keep me in touch. The suppliers of retirement leasehold property, have over the years, managed to fleece elderly people due to them not complaining and just putting up with their lot. That is not happening anymore, as either they or their families are fighting back, thanks to the publicity by LKP and About Peverel..
Those elderly pensioners who’s family are not aware, are still being sold by Estate Agents and Solicitors, who fail to inform the elderly pensioners that Leasehold is not good for their health. The overpricing of new developments by 40% and more should be as the PPI sales had been deemed wrong and the perpetrators should be made to refund the amounts over-charged. If the PPI had been declared as unlawful and the Government intervened then why not the over-pricing of Retirement Developments. I agree we all need to deter as many young and elderly buyers of leasehold properties as we can but when the other professional agents tell another storeys, how do we continue to inform on this type of media. We keep posting our stories on the LKP sites and then sending links to the news channels, MP’s and authorities. We keep up the fight and let them know we are not going away quietly as they hope we will if they keep their heads low. 2 heads at Lease fell last month and now one at Peverel and more yet to follow no doubt! I would call that progress..